The Elite Premium Greenhouse gives you a year-round growing space in an attractive, heavy duty aluminum frame and 10mm twin-wall panels. Engineered to perform in harsh environments. 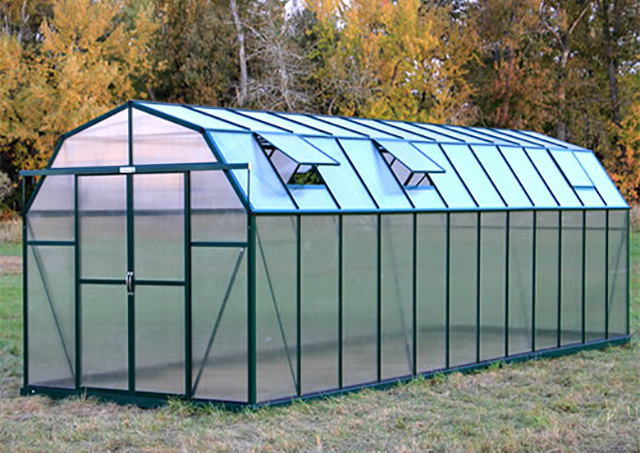 The Elite Premium Greenhouse rugged durability, makes it the most insulated of the greenhouses on the market and it's barn shape design is both elegant and functional, and allows plenty of growing space. 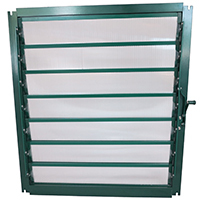 A wide range of features and accessories culminates in a well ventilated growing space with gliding double doors, an easy-to-assemble system, and an insulation (R) value* of 1.89 and heat loss (U) value* of 0.53 resulting in an amazing gardening and greenhouse experience. 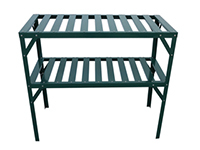 Powder Coated Steel 2-Tier Potting Bench-just the thing for storing plants and tools. Perfect for working or displaying plants & flowers. 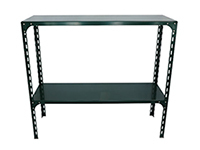 Powder Coated Steel Two Tier Staging Table Perfect for working and storing plants and tools. 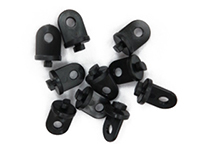 Drain KitDrain kit down spout for Greenhouse gutter systems. 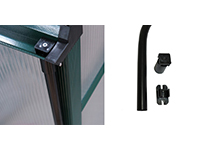 Designed to install directly into the aluminum frame and gutter of your greenhouse. This easy to install down spout drain kit includes: (4) 20mm Black Pipes (4) Gutter Attachment Gaskets (4) Side Wall Brackets with Screws. 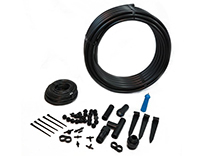 Drip Irrigation Watering KitThe Drip Irrigation Watering Kit is ideal for watering shrubs, trees, flowers, bushes and more. This water conserving drip system covers up to 150 square feet and can easily be expanded as your landscape grows. Everything is included for a complete installation, no gluing is required. 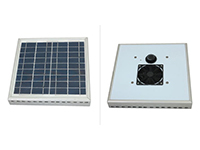 Solar Roof FanSolar Roof Ventilation Fan is the perfect accessory for helping to cool your greenhouse while providing the necessary ventilation to help your plants grow. Requires full unobstructed sun to run the fan, can be turned off by turning the thermostat to off. The fan will not run when there is no sun light. Fan Dimensions: 120mm x 120mm x 38mm or 4.72" x 4.72" x 1.5"
Acutal Unit: 366mm x 366mm x 63mm or 14.5" x 14.5" x 2.5"